I have a sweet, fun lady to introduce to you today! 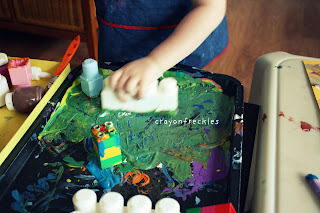 My take the time to guest is Andie from Crayon Freckles blog. We've never met in person, but have been blogging sisters and confidants for a few months and I think she's pretty special. So here we go...meet Andie! i'm andie from crayon freckles. 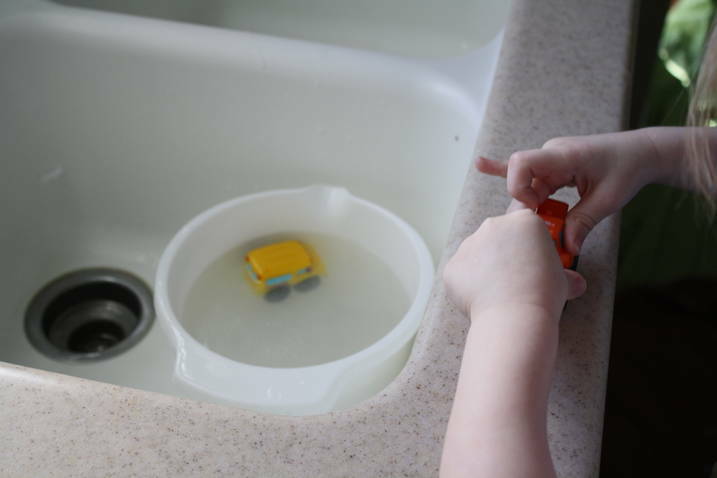 i'm a stay-at-home mom to my 3 year old boy and my almost 16 year old stepdaughter. i home-preschool my son. 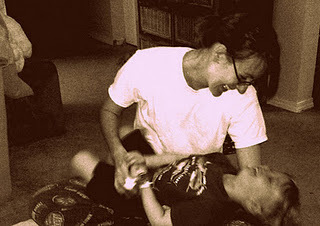 spending time with him one-on-one daily fills my heart. we are so blessed to be able to spend our days together. play is a child's work. 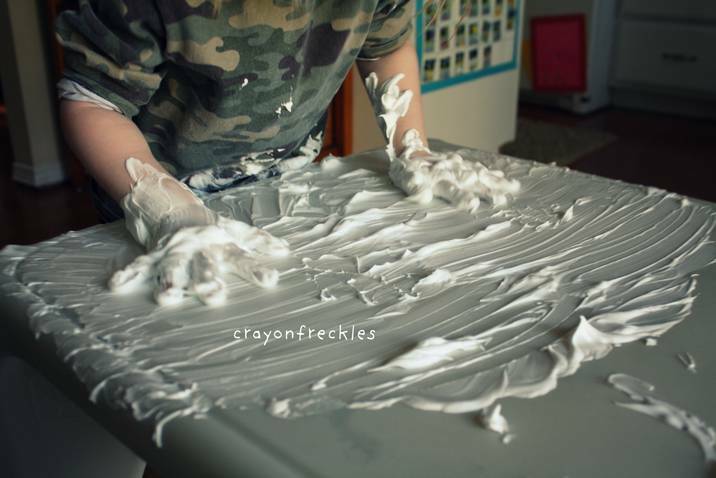 as a former preschool teacher, getting messy is one of my favorite things to do. i think that it's important to remember that children are hands on learners. i like to keep the limitations on activities to a minimum to encourage his exploration. 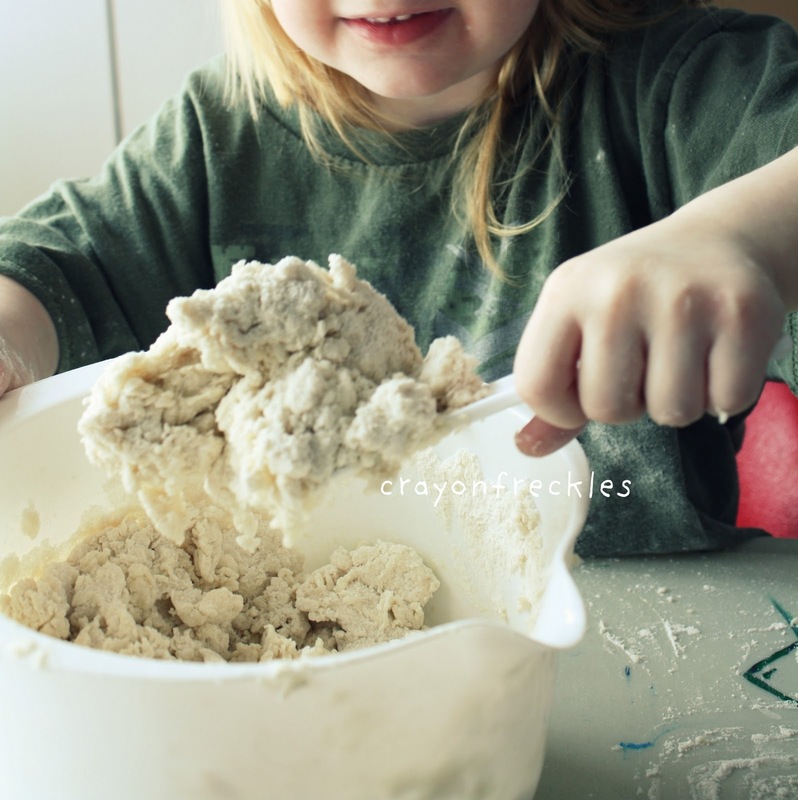 that being said, our motto in our house is "if you don't make a mess, you're not having fun!" so take an hour or so and get messy! have fun, find your inner child, and play away! Thanks, so much, sweet lady! I LoVe the idea of painting with legos. My girls are going to really enjoy that...and then I'll just hose them off outside! Jump over to Crayon Freckles for more preschool inspiration! Hi! Hopping over from Crayon Freckles. Love Andie! She always has the best projects with her little one.